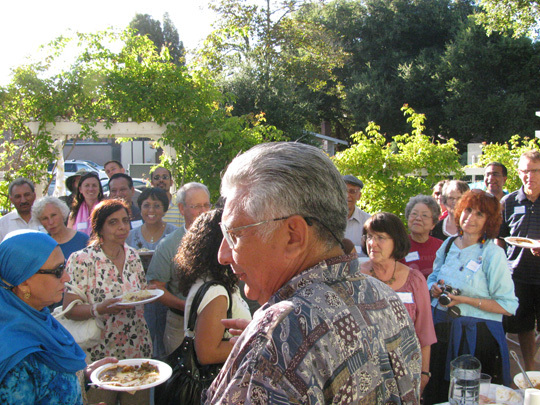 American Muslim Voice Foundation held its annual open house in Palo Alto, CA on July 18, 2010. It was another successful multi-ethnic and multi-faith event of the AMV that attracted more than 100 people from far and near. 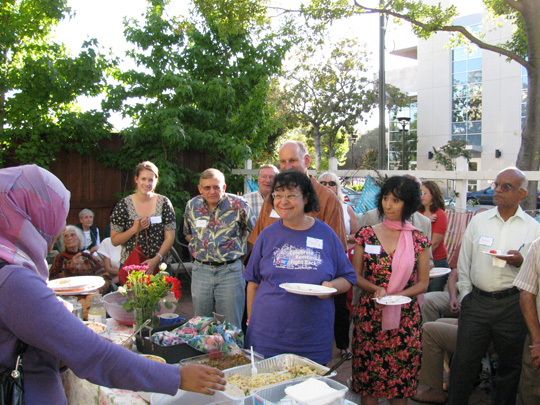 The objective of such events is to foster friendships among all Americans by bridging the cultural and religious gap. The AMV Foundation is striving to create a culture of peace, acceptance, mutual respect and harmony. Together we can build an inclusive, peaceful and beloved nation for us, our kids and their kids. The event probably was the appropriate occasion to present AMV’s Lifetime Community Builder Award to Alberto Carrillo Sr. for his distinguished services to the community as an official of the Santa Clara County. The Mayor of Palo Alto, Patrick Bert gave the award to Alberto on behalf of the AMV. 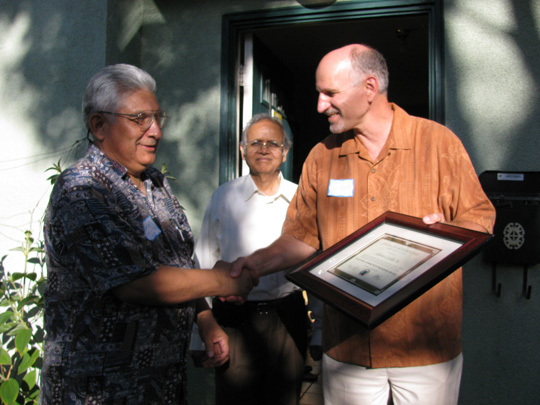 Palo Alto, Patrick Bert (right) giving AMV’s Lifetime Community Builder Award to Alberto Carrillo Sr. Abdus Sattar Ghazali, Communications Director of the MV is seen in the center.